Thanks to the concept of smart parking, parking meters are no longer simple pay stations. They have become real electronic counters for motorists, which goes far beyond hourly payment of parking tickets. IEM has developed its range of parking meters and applications so that they can adapt to any type of parking policy through the diversification of means of payment and the management of both parking subscriptions and virtual tickets. IEM has developed its latest generation of parking meters using state-of-the-art components and providing excellent comfort for motorists. With its alphanumeric keypad, the Presto Europa offers additional functionalities based on number plate input. Presto Interactive distinguishes itself from other parking meters by a large touch screen providing motorists with a user-friendly interface. 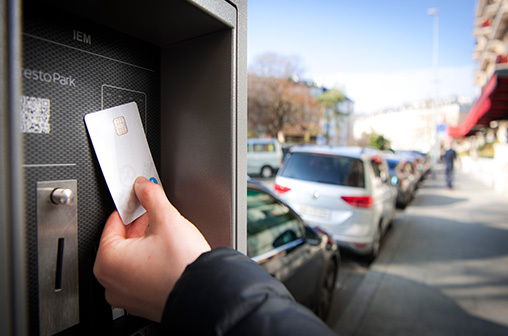 Presto Connect is the ideal machine for paperless payment and management of on-street parking. IEM’s parking platform contains the parking business logic. Its powerful tariff calculator is easy configurable for any given tariff structure on any given point of sale, be it parking meters or smartphone apps. The Parking Platform is the data source for all payment and technical transactions, which are visualized and processed in Presto 1000, the operator portal. Presto 1000 is the system which allows the operator to remotely manage and monitor each parking meter. 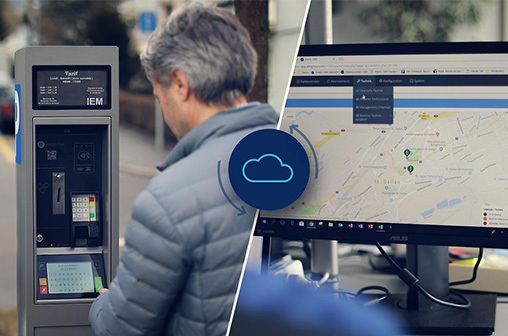 Based on granted user rights, the Operator Portal allows the operator to remotely set and modify any given parameters on any parking meter connected. 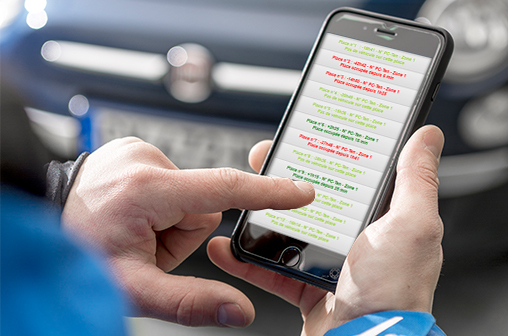 Motorists can manage their parking subscription status directly on PrestoPark. Additionally, they can purchase virtual tickets for any given zone in the city, manage and analyse their transactions on their user account. Permanently communicating with the parking platform, the parking meters provide a large amount of parking data that can be processed and analysed by the Presto 1000 operator portal. Add-on functions allow municipalities to provide motorists with innovative services which can be customized to individual user needs. In order to address the lack of cash and adapt to new means of payment, IEM offers several payment options for its parking meters. In addition to credit cards based on chip or NFC technologies, e-wallets and SMS payment have now become standard means of payment. Any given parking permission can be granted to any vehicle which is registered on PrestoPark. Connected to IEM’s parking platform, the intelligent parking meter charges the correct parking fee for an individual vehicle on the basis of the parking conditions and duration requested. The management of other privileges such as free parking days or coupons can be handled with a few mouse clicks. IEM parking meters support virtual tickets, where each transaction is associated with a vehicle. This payment system requires the input of the number plate on an alphanumeric keyboard. Once payment is made, the virtual ticket is saved and can be checked by the enforcement officer on his PDA. The payment transaction is recorded in real time. Virtual tickets reduce maintenance costs, spare drivers the trouble of having to put a ticket behind the windscreen and simplify the enforcement officers’ task because they only have to scan the number plate. Powerful analysis and decision-making tools support parking operators in their daily management of parking activities. The Presto 1000 portal handles all the data transmitted from parking meters to the parking portal. 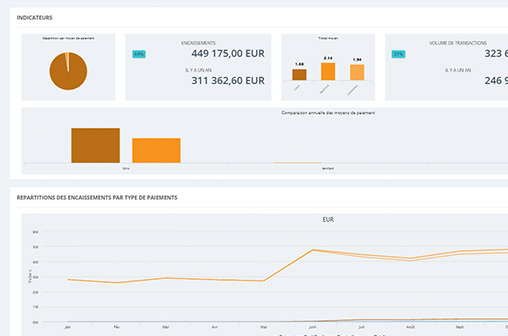 The system tracks all the technical and financial transactions and provides statistics such as sales by period, region, payment method or method of parking. An overview of the parking activities is displayed on a preconfigured dashboard.